The Cher and Elvis story. 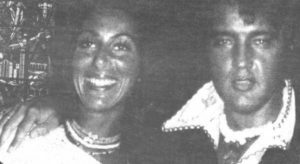 In one interview Cher admits Elvis invited her to his hotel room. In another interview Cher claims her regret that she never bedded Elvis. But these pictures tell another story. 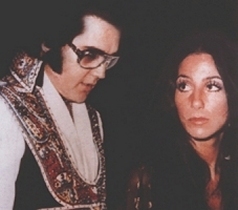 Cher admitted she had a fling with Elvis Presley between her marriages to Sonny Bono and Gregg Allman. She claims she rejected him when he asked her up to his room because she was nervous about spending the night with him.